Christopher Nolan’s Interstellar is one serious mixed bag of a film, as spectacular as it is flawed. It delivers the most breathtaking, gorgeous visuals you’ve ever seen in a movie, things that you can’t help but gawk at, slack jawed and bug eyed. Along with that, a large portion of the story is so trite and hokey that that it takes much of the shine off of the rest. Big and epic and ambitious in every way, not everything lands like it needs to, and there are incredible highs mixed with moments that leave you completely flat. The first act is primarily concerned with world building and developing the relationship between Cooper (Matthew McConaughey) and his ten-year-old daughter Murph (Mackenzie Foy). Cooper has a teenage son who has little to nothing to do with the story and only really exists as a plot device later in the film, so you can basically ignore his existence. A script by Nolan and his brother Jonathan sets the stage, creating a near future world where crops are failing—wheat is gone, okra is on the chopping block, and all farmers can grow with any reliability is corn—and the planet is becoming a giant dustbowl. They accomplish this visually with looming sand storms, as well as through small hints, mentioning food riots, hinting at hard times in the recent past, and painting a society that needs farmers more than engineers. In all of this there are a handful of nice touches, like how the New York Yankees are basically a high school baseball team, and though you’re never sure what happened, you get enough to know that the world has changed. Better now than it was, there’s no military, and things are relatively peaceful, but they blame for the disastrous near collapse of civilization on rampant technology, like MRI machines that could have saved Coop’s wife, or wasteful spending on things like space exploration—it’s now taught in schools that the moon landing was fake. Cooper used to be a test pilot for NASA, so he’s touchy about missing out on his dream. All of the groundwork is solid, though it is a ton of information dumped on you in a short period, but what follows stretches credulity and you start to notice cracks in the foundation. When a “ghost” sends Murph a message by basically drawing a picture on the floor in dust, it turns out to be coordinates that lead Coop to a secret facility where he encounters his old mentor, Professor Brand (Michael Caine). He informs them the world is dying and that they’re mounting a mission to search for a new planet to settle, and wouldn’t you know it, Cooper was the best pilot they ever had and they could sure use him on the stick for this mission. To accomplish their goal, the explorers travel through a wormhole that magically appeared near Saturn, placed there by some benevolent force no one quite understands. The nature of this divine kindness gives you pause. Who or what is this, and why do they, presumably the same forces that sent Murph and Cooper that coded message, want to help us? It’s intended as this grand mystery in the 2001 vein, where the reveal provides answers to all of the questions that have haunted humanity since the beginning. But after being introduced it only pops up at convenient moments when it appears the story has painted itself into the corner and needs a way out. Instead of this deep, meaningful element, it serves as a simple plot device and feels suspiciously like lazy writing that’s run out of ideas. Cooper, of course, leaps on this opportunity, it’s the chance to live out his dream after all, but he’s conflicted because he has to leave Murph behind. Again, his son doesn’t even factor into this decision. But he blasts off anyway after a full IMAX frame close up of him driving and crying. Along for the ride are Amelia Brand (Anne Hathaway), Doyle (Wes Bentley), Romily (David Gyasi), and a couple of sassy robots, TARS (Bill Irwin) and CASE (Josh Stewart). You don’t really need to pay much attention to any of them, because only Amelia really has much to do or say, and you form the most substantial emotional bond with TARS. 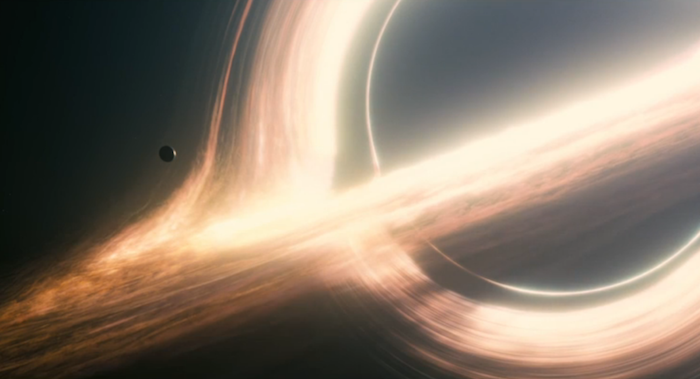 This is where Interstellar is the movie you hoped for. It’s epic and profound, these are explorers in the greatest tradition, sprinting full on into the unknown, not knowing if they’re coming back or have any hope of succeeding, but they have to push forward. This is moving, powerful stuff, the stakes are high, and if Nolan and company left it at this, the movie would be an unqualified success. It would also probably be an hour shorter with a much more even pace. The biggest issue with Interstellar is that at the same time the crew scours the nearby galaxy for a suitable home world, a tired, stale family drama unfolds. Traveling as they do leads to time differences, and while Coop stays the same age, Murph grows into Jessica Chastain (his son grows up to be Casey Affleck, but again, he doesn’t matter). Though she works on the project now, and knows full well what her father did, and why, she’s still angry and pouty, awash in her daddy issues. Every note of this rings false and hollow. 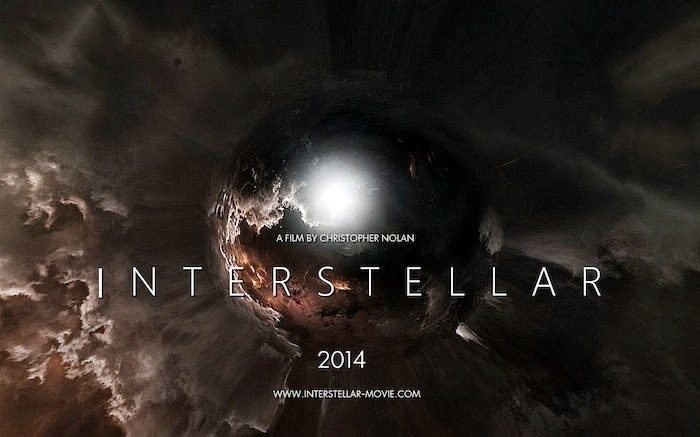 Emotion and personal relations have never been Nolan’s strong suit as a director, and Interstellar is no exception. Clunky, manufactured sentimentality barely runs Hallmark deep, and the bouncing back and forth between deep space and the continually degrading situation on Earth plays hell with the tempo and flow of the film, and they never strike a suitable balance between the two. Every time you bounce over to Earth you sink a little bit in your seat. There’s never enough time spent there to get invested in what’s going on, and these play like asides, like “meanwhile back on Earth…” diversions that they get out of as quickly as possible and that lack any legitimate emotional component. What happens on the other end of the universe is so spectacular, the rest practically fades into nothingness. The film does space well, and should have played to its strengths. 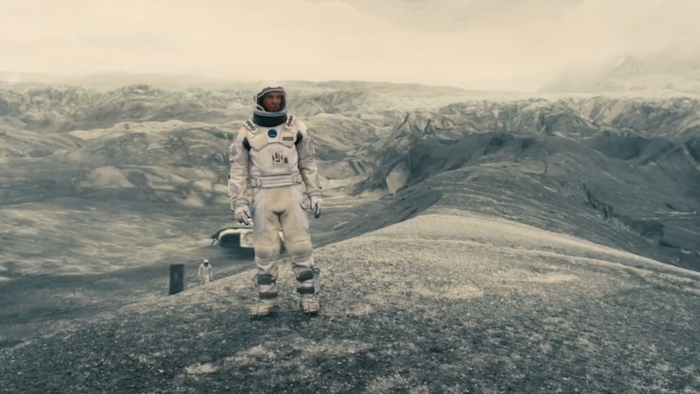 Interstellar practically screams at you that it’s important and deep and that you need to take it so very seriously. Cooper is full of homespun philosophical wisdom, but that, too, is of the shallowest variety. Everything he says sounds like an empty tag line that could appear on a poster, and in fact many of them are. He says things about how we don’t look the stars anymore and just fumble around in the dirt, or how mankind was born on Earth, but wasn’t mean to die here. And as he says these things with utter conviction, like they’re truths he’s known for years, you can’t help but think to yourself, “wait a minute, didn’t he just find out about all of this?” No matter what he learns—there’s a wormhole, our planet is kicking us off, there are some mysterious, kind-hearted beings out there keeping an eye on us—he immediately accepts it with no questions asked. It’s like why would Michael Caine possibly lie? And all the pieces fall into place with an ease that’s hard to buy. The acting is adequate—it isn’t a distraction, but there’s not much of any depth going on. You get a lot of McConaughey staring and silently weeping. None of the supporting players have much substance or texture, though Foy, even though she’s mostly a precocious, borderline hysterical daughter, is the highlight. 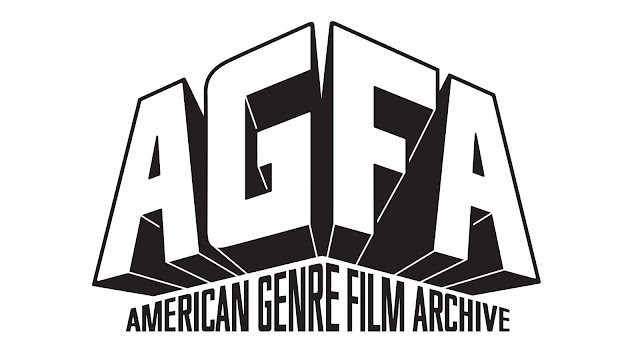 There’s some stunt casting later on in the movie that will be a hang up for some of you, and if you don’t hate Dylan Thomas’ poem “Do Not Go Gentle Into That Good Night” going into the theater, you may very well on your way out, because it shows up often, shoehorned into moments where it does not belong. Hans Zimmer’s overbearing score is mismatched with much of the movie, and that fact is never more apparent than when the story makes an awkward, unearned tonal shift in the later acts. That organ-heavy, intestine-rattling BWOMP that Nolan uses in so many of his films is in full effect, and sounds like Andrew Lloyd Weber scoring a ‘70s era horror movie. It’s like they couldn’t figure out how to make the necessary move with the actual story, and decided to slap you across the face with the least subtle music you’ve ever heard. For all of its faults, and there are many, you should go see Interstellar in the theater on the biggest screen you can find. It’s a spectacle that you need to witness for yourself, and there are parts that are truly amazing. But as immersed as you are at times, there are others where you have zero connection or investment. You appreciate that Nolan stepped outside of his comfort zone and tried to do something different, something personal, but unfortunately, the things he doesn’t do well drag down the things he does, and Interstellar never soars like it needs to.